MultiBrief: Is the Toys R Us revival too little, too late? Is the Toys R Us revival too little, too late? Given the number of long-standing retailers that have recently shuttered, the news of an almost-immediate revival for one has come as a surprise. 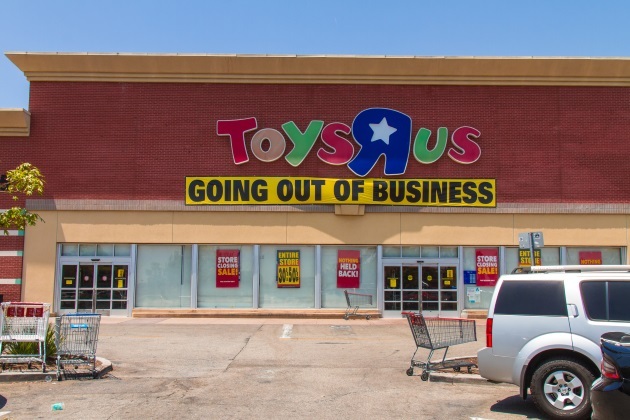 Toys R Us has announced that it has risen from the grave — otherwise known as bankruptcy court. With plans for both Toys R Us and Babies R Us to be operated by the very debtors to which the company owed money, and to have the new moniker of "Geoffrey’s Toy Box," both questions and excitement have emerged for how the company will revive itself. 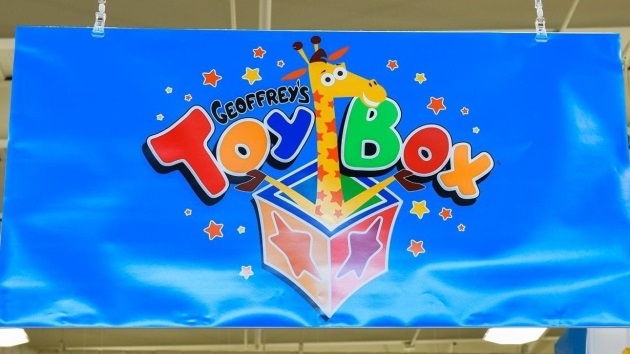 In a press release appearing on ComicBook.com, a description states that "Geoffrey's Toy Box is a fully outfitted organization with design, development and global sourcing expertise. Portfolio includes popular brands like Journey Girls, Fastlane, True Heroes, You & Me, Imaginarium, Just like Home and more!" Deb Gabor, CEO of Sol Marketing, applauds the move. She points out that while Amazon currently dominates the sale of toys online, a large percentage of consumers (43 percent) still prefer shopping for toys in physical stores. Toys R Us has left a gap in the industry, and retailers such as Walmart and Amazon just don’t have the knowledge, experience, or risk profile to introduce the “next big thing” in toys. Gabor noted that as a year-round toy retailer, Toys R Us served as a "testing ground" to propel the industry forward. The company’s resurrection must now create opportunities for past employees, toy makers and the brand itself. But what will change? With a comeback on the horizon, the new owners must learn from Toys R Us’ errors in order to ensure success with a new Geoffrey-fronted venture. Adweek cites branding consultant and Metaforce founder Allen Adamson, who notes that Toys R Us faced lots of debt and real estate issues, and never capitalized on monopolizing the toy industry. His advice? "Probably start with online and add a few select physical locations in key markets to act as showrooms and truly become a toy expert — not a mass-marketer of cheap toys." This might come as a stark change for those who remember picking out a toy from Toys R Us’ endless aisles, but it speaks to the evolving nature of consumer demands. Toys R Us might also be wise to amend ties with their former employees. Gabor points out that Toys R Us’ "death spiral" was more than a tale of a retailer put out of business by Amazon. The company laid off over 30,000 store employees without severance, and its corporate executives were dealt with in a much more compassionate manner. She believes Toys R Us can attempt to win back the favor of the employees it wronged by first taking responsibility for the part it played in the seedy business and financial practices that contributed to the company’s tragic downfall. This serves as quite a bit of baggage for a company attempting to rebrand itself, but it can go a long way towards instilling confidence among consumers that the company holds itself accountable and "actually has a heart." In Canada, Toys R Us has remained open, and is now operated under a subsidiary of Fairfax Financial Holdings Ltd., the same company that acquired a struggling BlackBerry back in 2013. The Canadian retail landscape has seen a number of attempted revivals over the past decade, with some retailers more successful than others. A staple for Baby Boomers, Sears continuously struggled to capture a younger demographic’s interest. In June 2017, as a last-ditch effort to appeal to younger shoppers, Sears Canada opened pop-up shops selling trendy clothes, keeping their store signage hidden, and the hashtag #weveCHANGED in front windows. "2017 is the year for change and reinvention," Brandon G. Stranzl, executive chair of Sears Canada, had said previously, looking forward to a bright future. However, by that point, Sears Canada had already closed 59 stores and laid off almost 3,000 workers. CBC News spoke to female shoppers at the time, determining that the retailer’s efforts were too little, too late. By October 2017, it was announced that Sears Canada would be shutting down for good, with liquidation sales beginning immediately. Since then, the vacant properties have given commercial landlords massive holes to fill. A year later, and a similar fate in the United States — Sears Holdings has just filed for bankruptcy. Sears Canada wasn’t the only Canadian retailer to shut down in recent years. In a common theme of failing to adapt to consumer demands, Danier Leather, Le Chateau, and Jacob have all fallen to fast-fashion giants such as H&M and Zara. Their lack of an online presence didn’t help, either, thus serving as a cautionary tale to other retailers that continue to expect success by coasting along via methods of decades past. The key to their success? Partnering with rappers and pop culture icons to showcase new designs by engaging fans on social media. Adidas experienced such a "retro chic" revival among younger shoppers and their parents, that the response was enough to scare Nike and Under Armour. They knew where their younger demographic was, and they targeted them on the technology they were using — namely Instagram and Snapchat. What’s next? Although Geoffrey’s Toy Box expects to start rolling out this fall, Toys R Us’ closure has left countless vacancies across the American retail landscape. Despite Amazon and Walmart attempting to fill the void, yet another revival is in the works, this time with FAO Schwarz. Returning to its New York roots this November, this time in Rockefeller Square, the toy shop will attempt to re-root itself in a market of rising rents and online retail, which it fell victim to in 2015. CNBC also reports that there are plans to create a presence in Canada (in 90 Hudson’s Bay department stores), China, and U.S. airports. Pop-ups are expected to open in Spain, Australia, and London. Looking to position itself as an experiential store, the Rockefeller Square location will include magic shows, faux grocery shopping, and a build-your-own race car station. The attempt to revive Toys R Us so soon after shuttering in the United States may fill some with excitement, and others with curiosity. Is it possible for Geoffrey’s Toy Box to right the wrongs that Toys R Us experienced? Given the smaller scale this attempt will face, it’s possible that the toy retailer will finally be able to create a successful niche in today’s retail market. However, adapting to modern consumer demands and pacifying their past will also weigh heavily into future endeavors. It’s too soon to tell how the revival will work itself out, as details are still sparse, but the new owners certainly have a laundry list of to-dos in order to propel Geoffrey’s Toy Box forward.